I know animal print has been in for many cold seasons, but I have personally shied away from it. The innovative print from Ann Taylor pushed me to give it a try and I am not disappointed. It is an ingenious mix of floral with leopard print and I absolutely love the material and fit of the skirt. I matched the skirt with a black flowy chiffon blouse with bow in the front. This instantly give my outfit a more feminine look that softened the predator looks of leopard prints. The wide sleeve makes it a perfect complement to the form fitting pencil skirt. 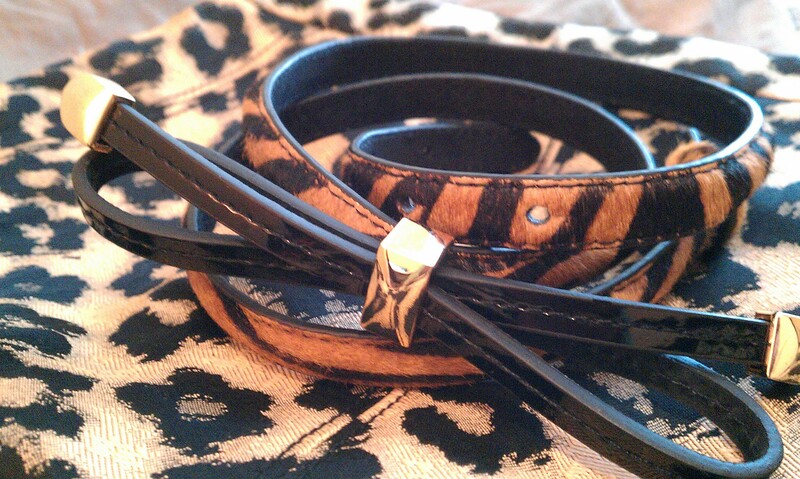 Now I can add to my animal print collection that used to consist of only one belt. *I had unknowingly matched the same blouse and skirt as the website model, but I like my look a little better. It’s extra 50% off sales on Anntaylor.com these few days, so get yours now!